I just got back from a great week out in New Jersey! Many of you know my involvement with Resolution Group International (RGI). 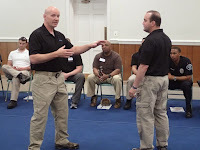 If you don't, here's the scoop: RGI is a training company founded by Jack Hoban to address the needs of Military, Law Enforcement and other organizations. 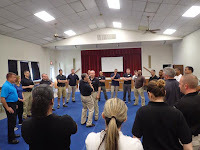 To say that the training exclusively deals with how to manage a wide spectrum of conflict would be accurate, yet inadequate regarding the depth of impact the training has on an individual's life and career. Jack hand picked each of us trainers: Lt. Col. Joe "Marine" Shusko, Sgt. Maj. Brian Pensak, NYPD Artie Mark (Ret. ), Senator Orrin Hatch's Former Press Secretary, Margarita Tapia, James Challender Former Commandant of the NJ State Police to name a few. So, what's different this time around? Well, it's not quite an "if I told you I'd have to kill you" scenario, but it is still pretty confidential, so I can't go into a great amount of detail yet. 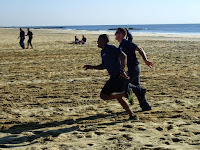 However so far we have received a lot of national attention regarding our training methodology. 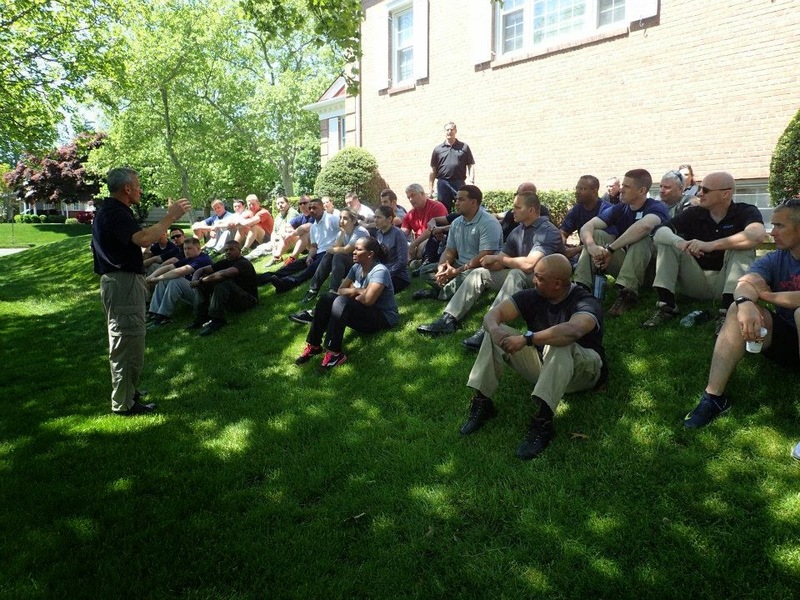 With tense situations like Ferguson, Baltimore and others happening all over the nation, our leaders are realizing that we need a different solution regarding how we are training our law enforcement officers, military personnel and other community leaders. It is that need that is drawing attention to our program. 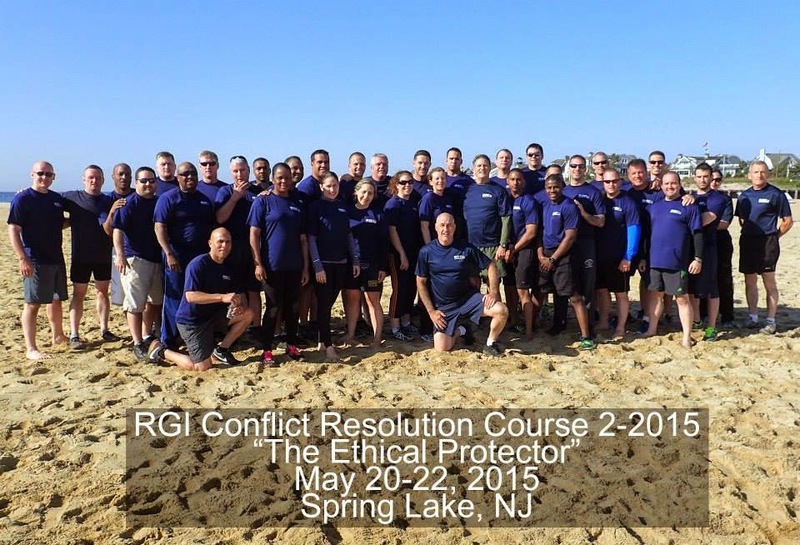 The RGI training perspective begins with the protector ethic called the Universal Life Value. Jack has devised a way to clarify, instill, and activate this Ethical Protector mindset in people. Now you may be wondering what it is and why is it so important? Rather than go into great detail here, check out RGI's website for details, or pick up Jack's book The Ethical Warrior. At the heart of things, the one universal value humans have is the Life Value. Everything else is filtered through that. So, clarifying how that value effects every decision each of us make is a monumental paradigm shift. 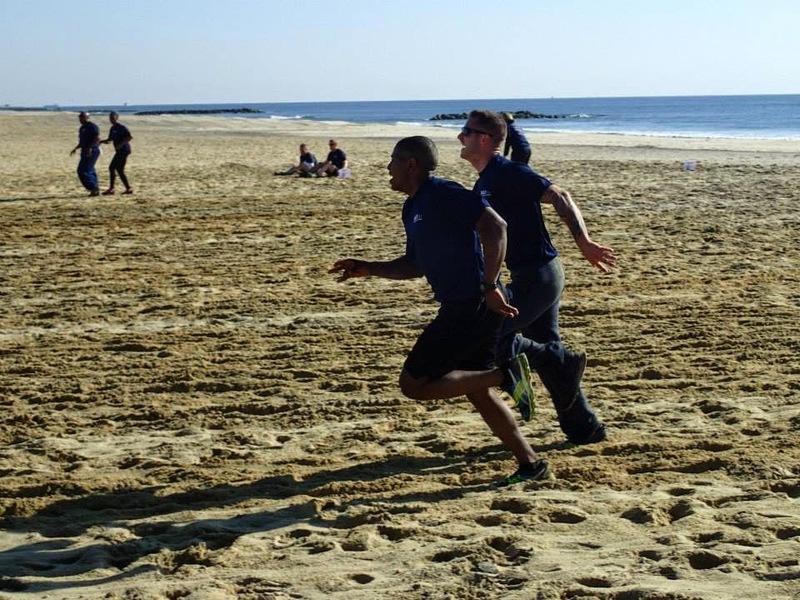 The training method is dynamically different as well: Toggling back and forth between, Ethical, Verbal, Physical, Emotional and Social exercises is a key training component. As Jack likes to say, you can have all of the right ingredients, but they have to be mixed together and brewed in the right way or it doesn't work. RGI has the winning recipe! 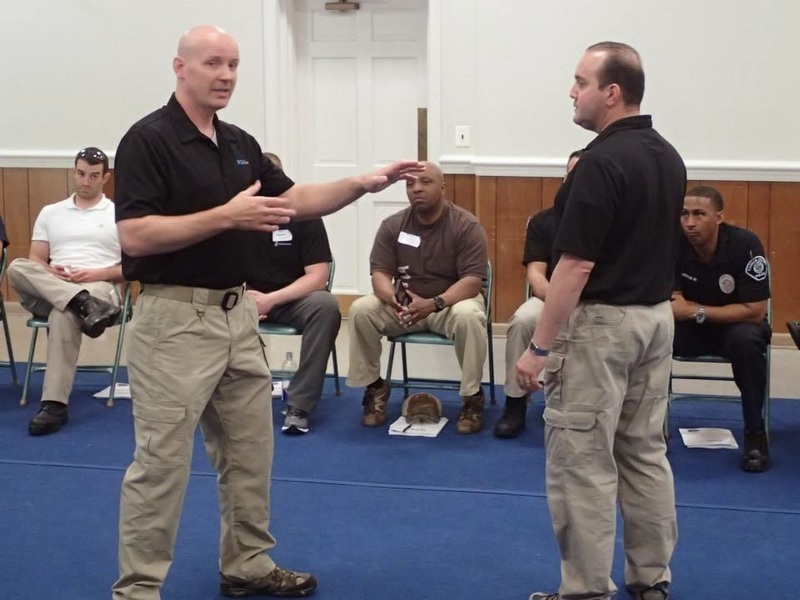 "I came into this course thinking I would leave with the tools to become a better, more tactically sound, law enforcement professional. And while it is true that I am leaving more knowledgeable and better prepared to handle my day to day responsibilities, I'm also leaving a better person." 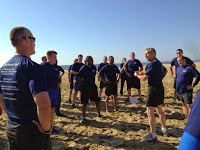 "A course which was initially approached with a little skepticism turned into arguably one of the best motivational seminars I have ever attended. 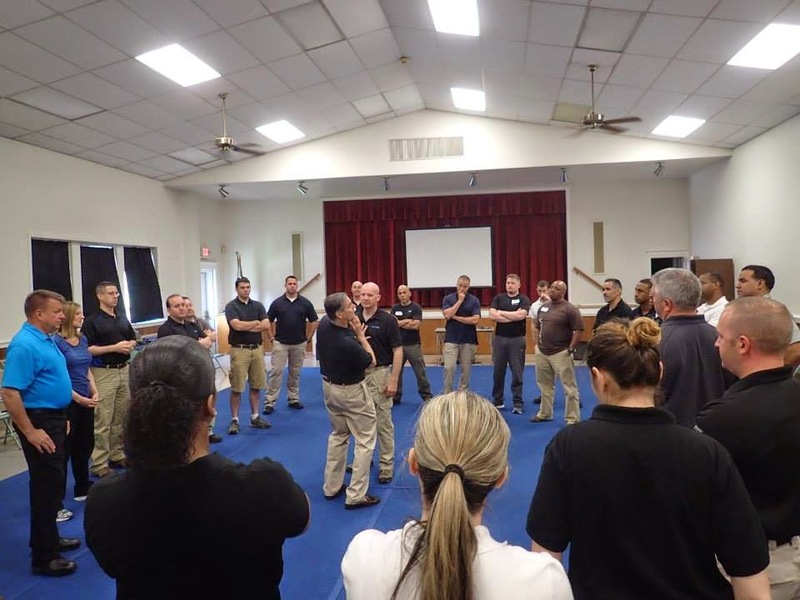 Ethical training plus conflict resolution has a place not only in military and law enforcement but everyday life." "It was a life-changing course." "Prepares you to be a better person, leader and protector. The knowledge, experience and professionalism of the staff is unmatched." I could list dozens more, but you get the idea. 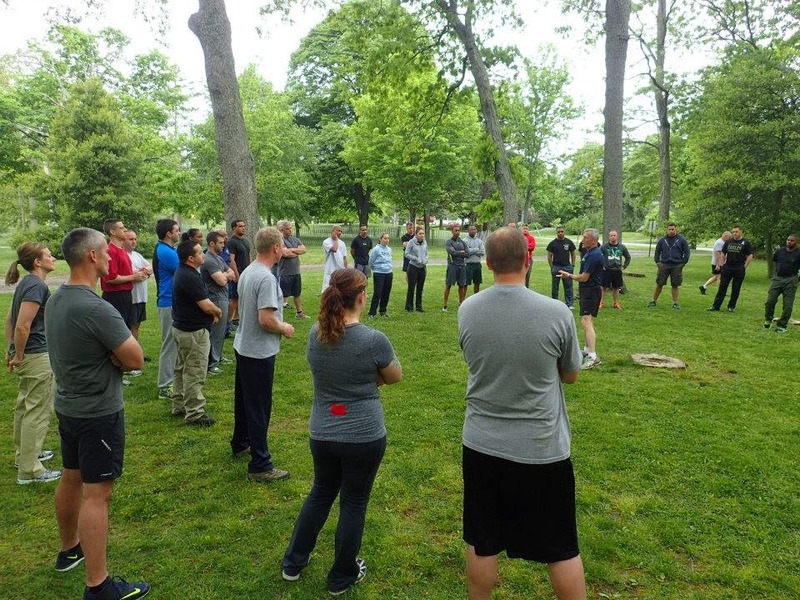 So, I just wanted to keep you on the inside track in the loop, because it looks like RGI may be turning the corner in a big way regarding who is about to embrace our training. Do we have all the answers regarding how to fix what's currently happening out there in our global community? You'll have to come out to one of our courses and judge for yourself. 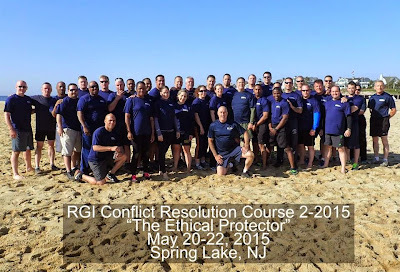 This much is true, the RGI Ethical Protector Course has changed many lives already and seeing what is on our horizon, we'll be getting the chance to work with many, many other officers, military, and protector citizens to introduce this powerful, life changing method to them. With all of the stress, negativity and yes, even prosperity, it's easy to fall into the rut of complaining and being negative. You may even notice that this can become a habit. Now, it won't feel that way to you. You'll spin it in your head like you are just being "realistic," or telling it like it is. But little by little this perspective can not just erode your happiness, but your relationships and career as well. In today's day and age social media plays a huge part in most peoples day to day lives and all of the negative comments, trolling and news coverage can be overwhelming. It is so easy to get caught up in the cesspool known as facebook, twitter, instagram and pintrest. Oh... You may be wondering why when starting this post I listed prosperity as one of the things that can drive us to be negative. Well, sometimes we have it so good that we don't realize what we have and we can become entitled. For most of us, no matter how bad we have it, there are people who are bearing much harsher burdens than us. Heck, if you have clean drinking water, food in your belly, a roof over your head and are in even fair health, you're doing better than billions of people already! That's even before we count the fact that if you're reading this you probably have a computer and/or smart phone. Not to mention if I had to guess you have indoor plumbing, if so, you are ahead of the curve of pretty much everyone throughout history... including royalty of days gone past! #1 - Take a couple minutes sometime today and list the things you are thankful for. #2 - Everyone you talk to today say something that you admire about them and are thankful for. #3 - Exercise! Do something physical to take your mind and emotions off from your negativity. #4 - Do something to help someone else w/no strings attached, no expectation. Do it just to do it. Create a new habit of appreciation rather than continuing to spiral into a negative state. It takes work, but it's worth the effort! I find it interesting that these movies; be it Avengers, X-Men, 007, etc. are not just saving one or two people, oh no, that would be a bit too easy. Usually, they are saving All of Humanity from Total Annihilation! Stressing the All of Humanity part, not just one single group, but everyone. Interesting. We are all protectors, so of course we are naturally drawn to stories like this. I know I am! Always have been, ever since I was a kid, and nothing's really changed about that part of me. And judging from the hundreds of millions of dollars that film makers make on every movie like this one, I'd say that I'm not the only one who feels this way! In my experience most people want to make a difference in the world and that difference typically involves respecting and protecting life. Police officers don't usually start their career to enforce laws. They wanted to protect and serve their communities. To stop people who would endanger others. Most teachers didn't really sign up for their jobs to get summers off (even though having summer's off would be sweet!). No, they pursued their path to change young peoples lives and ultimately the world! Most in the military join to protect not only their country, but other people from all over the world who need help protecting themselves! Most doctors, nurses, therapists, PA's etc. go into their profession because they have a inclination to nurture, heal and protect people. There is a hero, warrior, Protector in ALL of us, it just gets lost sometimes. We watch movies like The Avengers to remind us who we are. To inspire us to work toward what we can become. To prepare us for our own battles however large or small. Never forget YOU are a Protector! Just make sure you're protecting the right thing! Where ever I go Everyone is safer because I am there. Where ever I am Someone in need has a friend. When ever I return home people are glad that I am there. Whoa! That one just missed me, I thought as the fist went wizzing by my head, just inches away from my nose. It was only a drill but this guy was treating it like a life or death encounter and although I appreciated his enthusiasm, I think he may have been missing the point of what we were really training. Some of you may agree with what I am about to share, other won't. Either way, don't just take my opinion without considering, researching and experiencing things for yourself. Then choose your own path and perspective. Training in martial arts and defensive tactics is an endeavor made up of elaborate fairy tales and parables. Some training methods are very realistic, others not so much, but all are fake to a greater or lessor degree. None are reality. The bigger question is can you separate the lesson from the story? The function from the fiction? Do you know what the drill is really trying to get across, because it may not be obvious? I train in both modern defensive tactics as well as ancient warrior traditions. 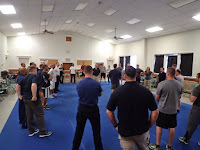 Some training drills are very obviously probabilities, meaning they represent high percentile techniques trained force on force in real time. Other drills can be much less apparent what one may gain from practicing them. 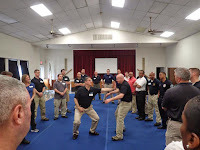 No matter if you are deciphering an ancient densho (scroll) or practicing the most modern combatives; first off both are parables of sorts, meaning that they are stories with meanings and if you are taking them literally, word for word so to speak you may be missing the entire point of the training exercise. I look at training exercises (including force on force sparing and scenarios) as drills and lessons, not as direct reality. Meaning, don't get overly wrapped up in them. Like fairy tales, they are not typically literal translations of life. Yes, some are more realistic than others and some are better than others, but like their fairy tale counter parts we must ask ourselves, "what is this really trying to teach me?" 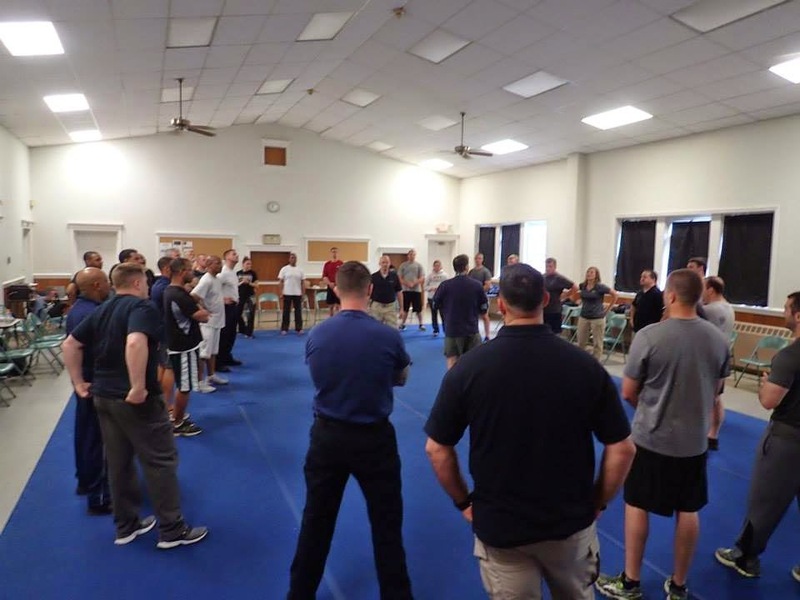 Much Like mythology, most of the drill, exercises and training methods of martial arts or defensive tactics have a kernel of truth within their stories. However, if you are looking too much at the "literal translation" of that story, you may miss the benefit of the message that it is trying to transfer. Stories like drills change over time and are modified to relate and teach more clearly, however the lessons within them often remain constant. If what you are practicing is worth its weight, it has something to teach. Although some methods are painfully obvious and have direct connection to what they are teaching, others on the warrior path can be shrouded in mystery and very counter intuitive. It can sometimes be difficult to see and apply the lesson. This journey is not easy and can be riddled with perils ranging from confusion, injury and ineffective tactics. It can be made easier w/the help of a quality instructor or friend who has traveled there before and may be able to help you clarify what the actual lesson is within the fairy tale.